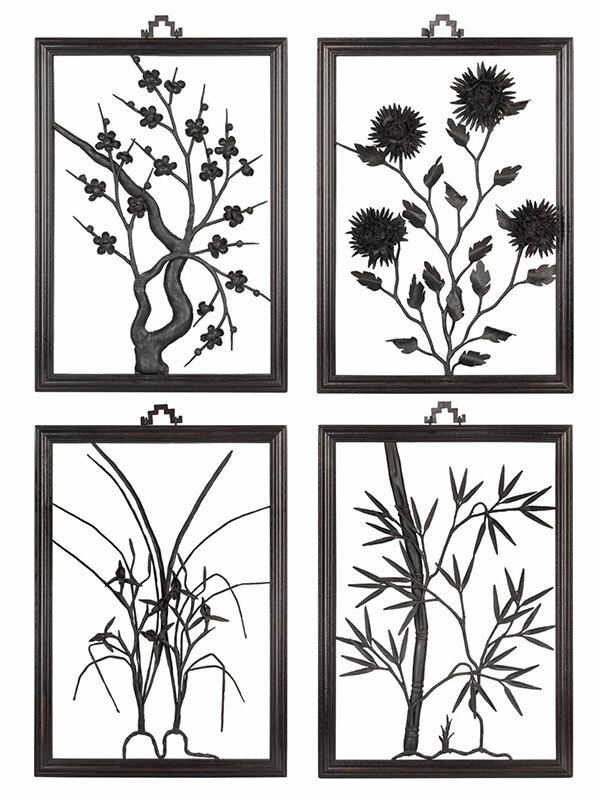 Four iron paintings, depicting respectively a gnarled branch of flowering plums, orchids, bamboos and chrysanthemums. The plants are all made of wrought iron elements, which are crafted individually and jointed together with bolts. Each painting is contained within a hardwood frame.